Utah Concealed Firearm Permit (CFP) Course *Course Certificate Accepted by VA, UT & FL as proof of competency for the CFP/CHP/CCW Permit. Multi-State Concealed Firearm Instruction and Permit Course *Course Certificate Accepted by VA, UT & FL as proof of competency for the CFP/CHP/CCW Permit. 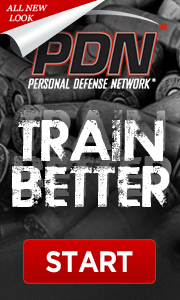 Click on the Calendar to view all Multi-State Concealed Carry Course dates. NRA First Steps & Intro to Concealed Carry *Course Certificate Accepted by VA & FL as proof of competency for the CFP/CHP/CCW Permit. NRA Personal Protection in the Home *Course Certificate Accepted by VA & FL as proof of competency for the CFP/CHP/CCW Permit. NRA Basic Pistol Shooting *Course Certificate Accepted by VA & FL as proof of competency for the CFP/CHP/CCW Permit. Don’t see a date or a course that works for you?